Management of pest animals in the rapidly-expanding peri-urban region of eastern Australia requires tools and strategies markedly different to the rural landscape. The two priority pests for peri-urban councils are wild dogs and deer. Wild dogs are widespread through this region, but are becoming increasingly visible with raised public concern. Their impacts range from livestock and pet injury and loss, human harassment and even injury, being vectors of livestock and zoonotic disease, to predation on threatened wildlife. Managers have had some initial successes in controlling wild dogs, but these should be refined, extended and tailored to other areas. In contrast, for deer, a more fragmented distribution suggests management of source populations may be more fruitful. Deer have modest rates of increase relative to canids, so suppression of small populations is theoretically feasible. The difficulty has been removing sufficient animals. Control tools are limited to trapping, shooting and fencing, but the efficacy of these methods in peri-urban settings is unknown. Methods for monitoring peri-urban deer have been developed overseas, but need to be evaluated in eastern Australia in order to guide and assess management actions. Peri-urban local governments have identified the need for better tools and strategies for control of wild dogs (and foxes) and deer. Behavioural science and engagement approaches are required to successfully identify, implement and monitor the success of strategies to manage pest animals in the peri-urban landscape. Planning workshops will be conducted to gauge community attitudes to wild dogs and deer issues, and guide the type, level and involvement in interventions required to reach ‘acceptable levels of pest impact’. Findings from these planning workshops will guide the interventions conducted. Monitoring, evaluation and reporting of such plans will be completed during the intervention phase to determine the success of the management intervention. This would mesh with more traditional assessments of control strategies and will focus on the monitoring of impacts (e.g. incident records) and activity (e.g. sightings, activity) as metrics of success. Refine and assess management techniques (e.g. trapping and ejectors for dogs) by drawing on a) an improved understanding of wild dog ecology from the recent IA CRC project, b) removal and monitoring data on deer collected by pest managers (NSW Local Land Services (LLS) and Qld local governments) and c) an improved understanding of community attitudes to peri-urban deer and wild dog management. Develop, implement and monitor community engagement strategies for wild dogs and deer to facilitate the effective implementation of management strategies. Test the application of new tools for wild dogs and potentially foxes (PAPP, ejectors, lethal trap devices) that have been identified as feasible and acceptable to the community. Evaluate the costs and benefits of techniques and strategies for different situations, and develop decision support tools for local governments and other pest managers. Improve the knowledge of and capacity for monitoring impacts/sightings/pest activity to provide pest managers with the ongoing ability to target and monitor control activities. 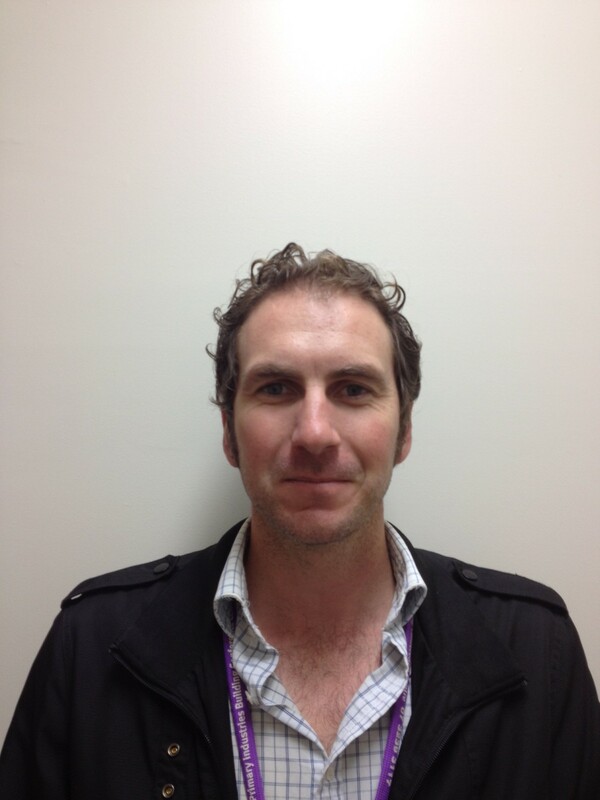 Dr Matt Gentle (BAppSci, PhD) is a Senior Zoologist at the Pest Animal Research Centre, Biosecurity Qld, in Toowoomba, Queensland. Matt started his career at NSW DPI and subsequently completed his PhD on fox baiting practices on the central tablelands of New South Wales. Since 2004 his work has focused on investigating the ecology, impacts and management of pests including feral pigs, foxes, wild dogs and feral cats in Queensland. A number of field sites have been established and monitoring of deer and wild dog abundance or other activity on these sites is ongoing. These sites will be used to assess effectiveness of control of wild dogs and deer over time. Camera monitoring of wild dog presence/activity was undertaken over a 2-month period at five sites within the Southern Queensland areas prior to deployment of canid pest ejectors (CPEs). Sites were chosen through consultation with project collaborators with criteria including historical and ongoing issues with wild dogs and suitability for longer-term CPE deployment. Community engagement with peri-urban residents and groups across the field sites is underway to ensure they are kept informed and aware of the management taking place and why. The team has begun to assess the animal welfare outcomes of ground shooting of rusa deer in peri-urban Wollongong. At the time of writing, we have assessed outcomes for 35 deer. They will continue to assess animal welfare outcomes until we have a sample size of at least 100 deer.